We are moving on from the philosophical ideas of steampunk to the philosophical ideals of a perfect society, or maybe not so perfect. 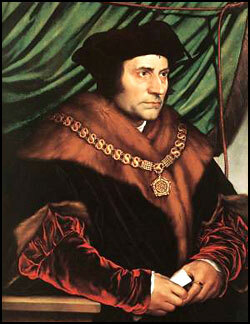 Today is the anniversary of the death of Sir Thomas More. He was tried for treason when he refused to sign the Act of Succession and when he refused to accept King Henry III as the head of the Church of England. He was beheaded on July 6, 1535 and his final words were "The King's good servant, but God's first." He was canonized by the Catholic Church as a saint in 1935. More wrote many works including Utopia, and essentially popularizing and influencing the genre of the Utopian literature. Utopia is essential an ideal society and Dystopia is a society in decline, characterized by dehumanization, strife, or totalitarian government to name a few. The earliest novel about a utopian society was The Republic written by Plato in 350BC. Dystopia is an offshoot of Utopian literature, popularized in the early 1900's. First published in 1516, Thomas More's Utopia is one of the most important works of European humanism. Through the voice of the mysterious traveler Raphael Hythloday, More describes a pagan, communist city-state governed by reason. Addressing such issues as religious pluralism, women's rights, state-sponsored education, colonialism, and justified warfare, Utopia seems remarkably contemporary nearly five centuries after it was written, and it remains a foundational text in philosophy and political theory. Since Susan Wise Bauer includes Thomas More's Utopia in the list of great history/political reads in Well Educated Mind, now seems like a good time to read it. Currently in my stacks, along with Utopia, are James Hilton's Lost Horizon, Veronica Roth's Divergent, Neal Stephenson's Snow Crash and Cormac McCarthy's The Road. 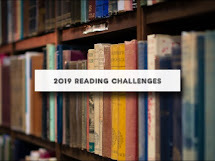 Check out this list from Utopian Literature and the ever popular goodreads list of Best Utopian and Dystopian fiction. The theme of the month for July is reading Utopian/Dystopian novels. Is anyone else having trouble comments. Email me when you see this.